More than 2,000 state-owned and operated cars hit the road in Connecticut every day, costing the taxpayer more than $7 million each year. The NBC Connecticut Troubleshooters decided to investigate exactly how tax-payer funds are being used in an investigation of complaints against these vehicles. The Department of Administrative Services oversees the usage of state vehicles and provided NBC Connecticut with complaints filed between June 2009 and June 2012. Over 3,500 complaints were found in the three year period. More than 1000 were for driving dangerously. 1,200 complaints about speeding were filed, 270 citing drivers speaking on cell phones and 122 complaints of state cars "seen in an inappropriate place." The complaints' details ranged from minor to seemingly major. Several individuals spotted state cars driving in New York and Massachusetts. Another complained of seeing a state car parked at an Old Navy store in Manchester. One taxpayer said she saw two state employees park at a movie theater in the middle of a typical work day and walk inside. Another state employee was reportedly parked at a hair salon during business hours. State workers are supposed to use state cars to conduct state business. But, there are thousands of complaints about how they're driving and where they're going. Department of Administrative Services (DAS) commissioner Don DeFronzo oversees the state fleet and says that the complaints, while legitimate, might not be fully informed. "Those are legitimate questions," DeFronzo told NBC Connecticut. "But the public needs to know that sometimes we have group homes operators, that take a state vehicle and bring the resident of a group home to a movie theater, or shopping or to a laundromat. Those are real life issues that we respond to." DeFronzo explained that DAS assigns vehicles to each agency but it is up to the agency itself to address the complaints with their employees and decide whether or how to take disciplinary action. So, the NBC Connecticut Troubleshooters inquired about each of the aforementioned complaints. The Department of Children and Families (DCF) and the Department of Mental Health & Addiction Services (DMHAS) declined to go on camera for interviews but both responded to each in separate statements. DCF operates more than 800 vehicles, which make up more than 25% of the state fleet. 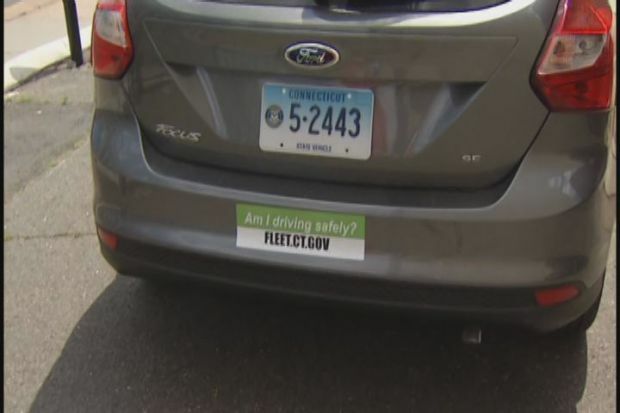 When asked about state vehicles, a DCF spokesman told NBC Connecticut that the drive to New York was necessary for "client transportation to a medical appointment." The shopping trip to Old Navy was determined to be "legitimate" state business to purchase apparel for two DCF children. Interestingly, the trip to the beauty salon was initially deemed "a violation of state policy with formal counseling given to the employee." However, further "legal review" reveal that the employee was "on her lunch hour and the appointment was with her supervisor's knowledge." The disciplinary counseling originally assigned to the employee was rescinded. DCF justified the overall use of state vehicles because "case management requires home visitation and transportation of the children and families that we serve." The NBC Connecticut Troubleshooters received similar responses to complaints against the Department of Mental Health & Addiction Services. The explained that the trip to the movies was part of activities with clients in need. "It is not unusual for Young Adult Services staff to use a variety of community based activities to engage with clients that have difficulty forming relationships due to severe and prolonged trauma," said Jim Siemianowski, Director of Evaluation, Quality Management, and Improvement at DMHAS. "Staff members routinely accompany clients to leisure activities for engagement and mentoring purposes which was the intervention that was witnessed by the public commenter," Siemianowski explained. Commissioner DeFronzo agrees. "The public just needs to be aware that there are multiple roles for agencies to play. Not all state workers work in a big state building like this one over here and stay inside all day long. Many are on the road inspectors, park employees, auditors, there's tax examiners," DeFronzo said. "They all have to go out to venues where they do their work." Despite this, complaints continue to roll in so the state has decided to put something in between its employees driving and the open road: a GPS device that records, tracks and reports a car's whereabouts and speed. Later this month, the Department of Children and Families will be first agency to participate in a pilot program for its fleet vehicles. If successful, the program would eventually expand state-wide, according to the agency. "The legislature approved what is essentially what we would characterize as a pilot program for DCF, install the GPS on a test basis for 40 or 50 cars," DeFronzo said. "The idea is of course to maximize utilization of those vehicles, make sure they are where they are, making sure people are getting from point A to point B in the most efficient, straight line sort of a pattern," he added. The move is based on private sector research, according to the DCF. "This cost saving idea came from the non-profit provider community which has successfully saved 20% on fuel costs since the installation of GPS in their fleet," Josh Howroyd of DCF said in an email. "The Department currently has over 800 vehicles and does not have the ability to collect data electronically that would allow us to analyze vehicle usage, combine trips and automate processes." Installing each GPS device, made by Sprint, will cost between $300 and $500. With more than 2000 of its vehicles criss-crossing Connecticut daily, this is an investment that the Department of Administrative Services hopes will improve behavior and decrease unnecessary car usage.